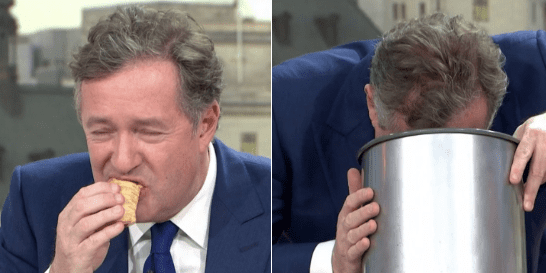 A vegan sausage roll has continued to make Piers Morgan look like a ‘buffoon’ after the presenter pretended to throw up on live television. 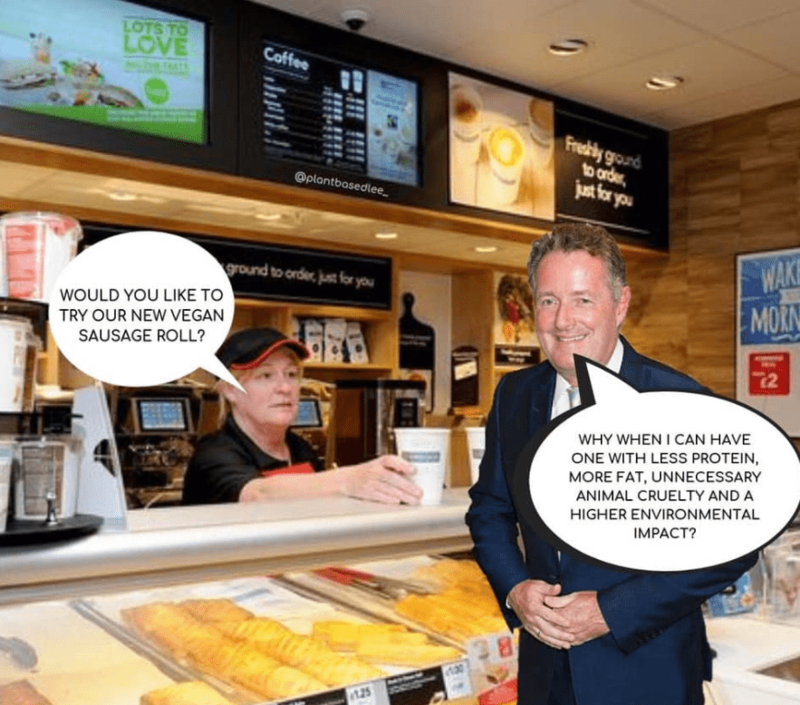 UK bakery chain Greggs provided Good Morning Britain with the vegan rolls after the presenter voiced his outrage at the launch of the plant-based roll last week. Viewers demanded the presenter should ‘grow up’ and labelled his behaviour ’embarrassing’ after what appeared to be a planned sequence on the show today (January 7). 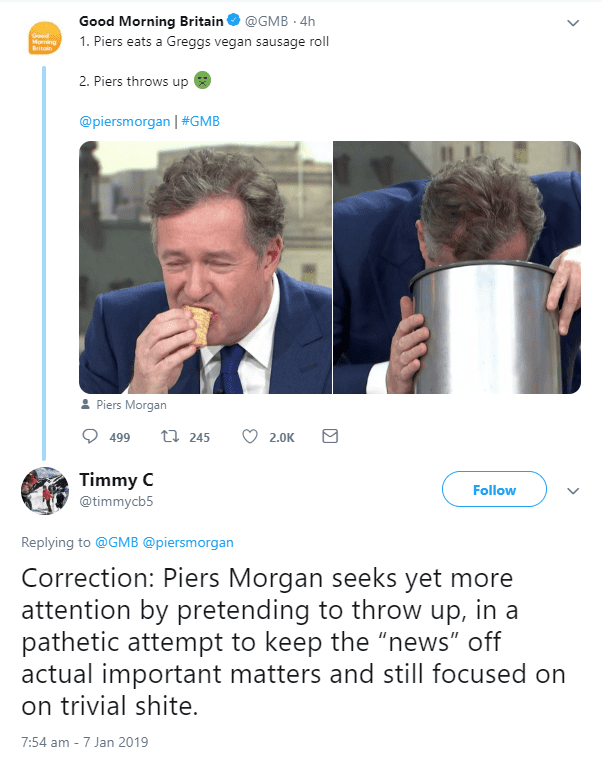 Viewers branded the presenter an ‘attention-seeker’ after he took one bite, grimaced and pretended to throw up into a bin. 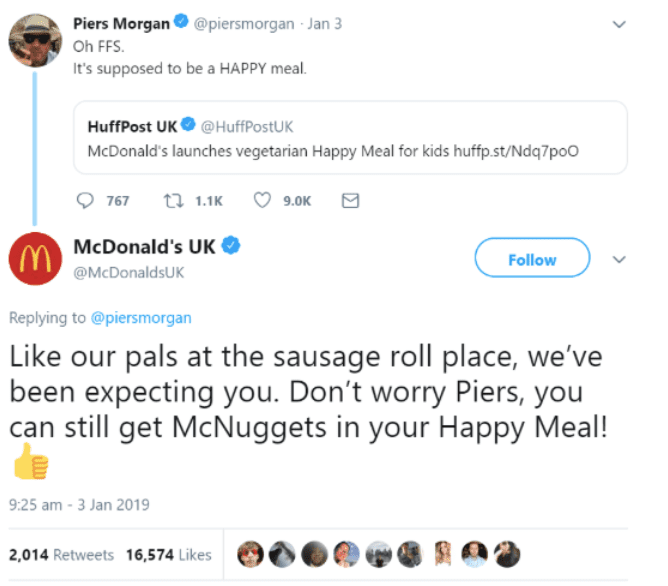 Morgan couldn’t hide his satisfaction at taking the chance to insult veganism, and a grin shone through. But viewers were not fooled by his behaviour. Co-host Susanna Reid provided some sanity to the situation and said the vegan treat tasted ‘delicious’. 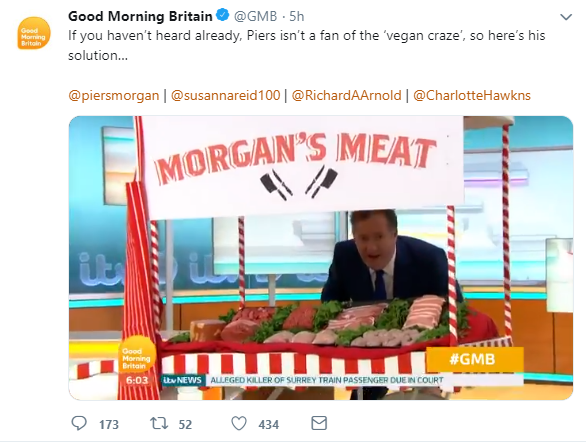 Morgan went on to reveal a stall titled ‘Morgan’s Meats’ in yet another endorsement of eating dead animals. 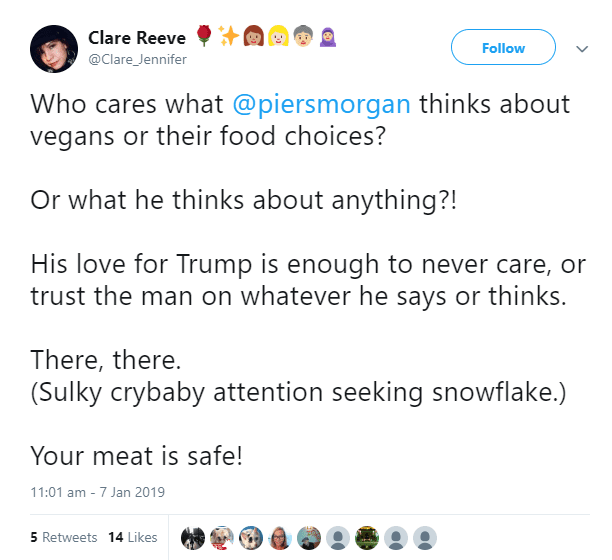 His latest assault on veganism has largely backfired. 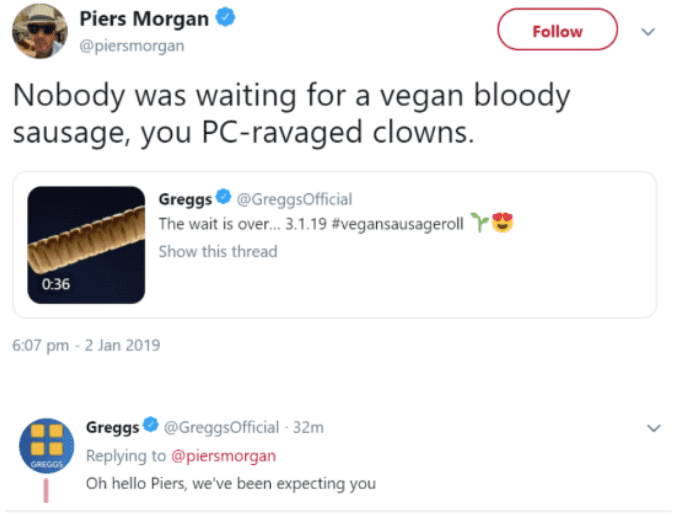 It began when he labelled Greggs ‘PC-ravaged clowns’ for offering a meat-free roll, but the bakery was in a particularly sassy mood. But Morgan continued his assault, complaining of ‘bullying’. 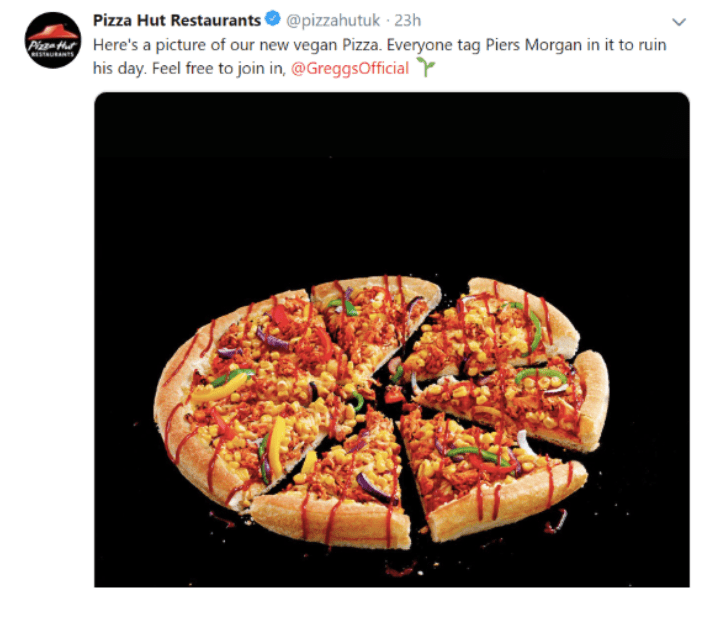 Other food giants including McDonalds, Pizza Hut and TGI Fridays jumped on the bandwagon to ridicule Morgan’s anti-vegan approach. 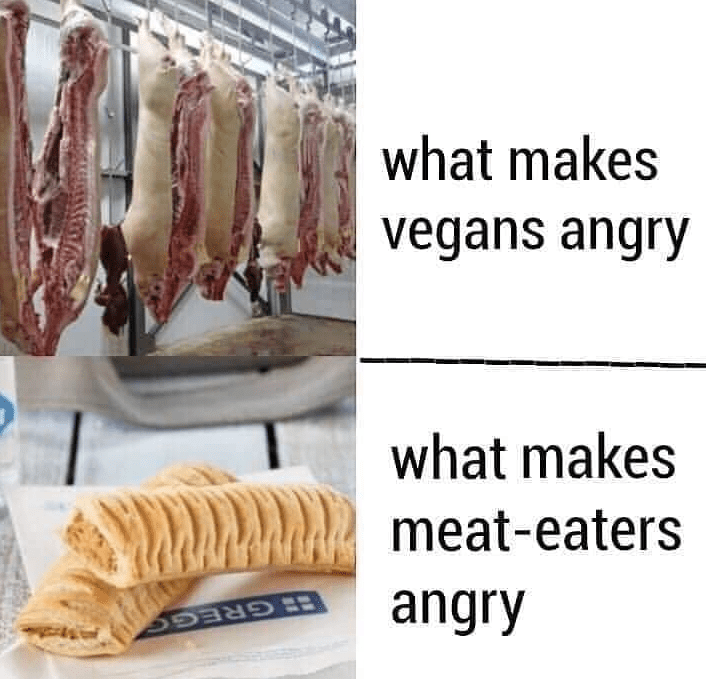 And the jokes have continued to roll in from vegans. 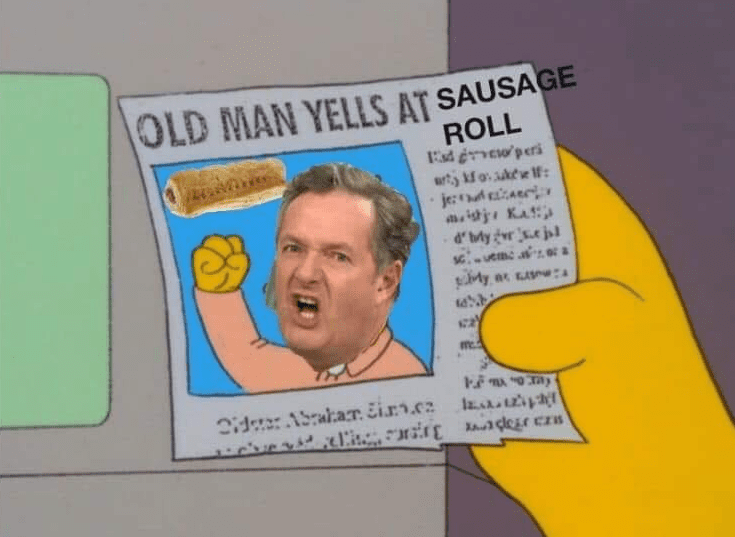 Have you tried the Greggs vegan sausage roll? 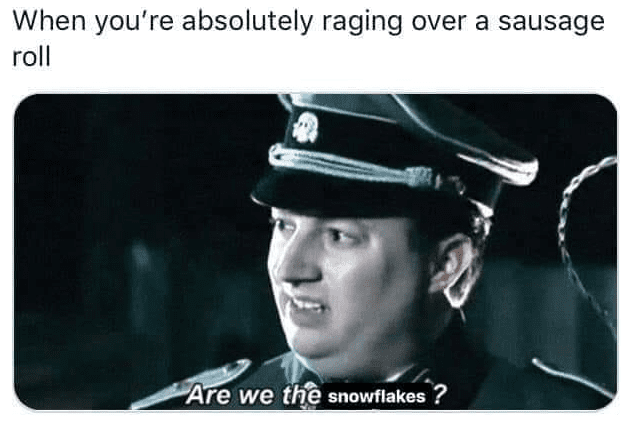 Tell us about it in the comments below!